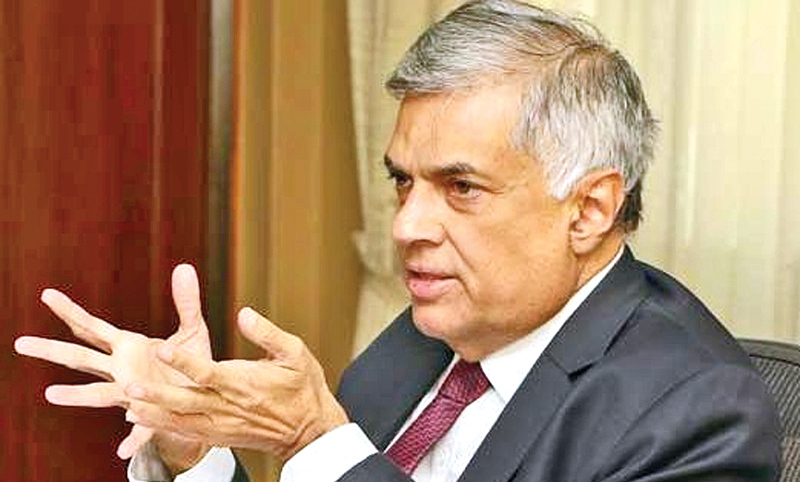 The new Family Budget Unit will look into solving the economic issues faced by families in the country and look into a family’s expenditure, income and the ways in which the country’s economy impacts individual families, said Prime Minister Ranil Wickremesinghe. The Prime Minister was speaking at the new Family Budget Unit of the Ministry of National Policies and Economic Affairs which would look into the family economy which held its inaugural meeting at Temple Trees yesterday. “We have started a new unit under the Ministry of National Policies and Economic Affairs- the Family Budget Unit. We have information on the national economy and we turn that information into action. But, we need to gather more information on the home economy,” the Prime Minister said. “When we speak of the Cost of Living, we need to emphasise on essential food items. But today, home expenditure does not only include essential foods, it includes many other expenses. Transport, clothes, tuition fees, telephone bills, rent, pre-school fees, etc… And some families spend more money on these than food,” the Prime Minister further said. “Thus, the new unit will look into what the main expenses in a family are, the average income of a family and what is the impact of the country’s economy on the family,” the Premier said. “We have prepared a developing economy for the people so that they can live. We have given them many concessions and we will take a look at these once again and the government will adjust these subsidies according to the available finances. This will be important for the new unit,” the Prime Minister said. State Finance Minister Eran Wickremaratne, National Policies and Economic Affairs, Deputy Minister Dr. Harsha de Silva, Secretary to the Prime Minister Saman Ekanayake, National Policies and Economic Affairs Minister Secretary K.D.S. Ruwan Chandra and Finance and Mass Media Secretary Dr. R.H.S.Samaratunga were also present at the meeting. Family Budget Unit is an excellent concept to investigate the spending habits of an average familyin order to regulate the cost of living based on essential foods and other expenses. A comparison of a basket or trolley of groceries from supermarkets and local food fair markets need to be assessed. There is a tendency to purchase imported food and luxury goods which tend to boost up living costs. I feel there is inadequate competition and we must encourage more Chinese Emporiums and supermarkets to set up business. My wife point out everything going up in price.quality inferior.quantity less. Cost high. Service not up to expectations. People working hard. It seems we are racing without reaching the destination.tierd and not satisfied with al, the effort. Traffic messy street clogged garbage everywhere. No mental peace. A nanny is not necessary. Cut the waste and the number of ministers as a first step.